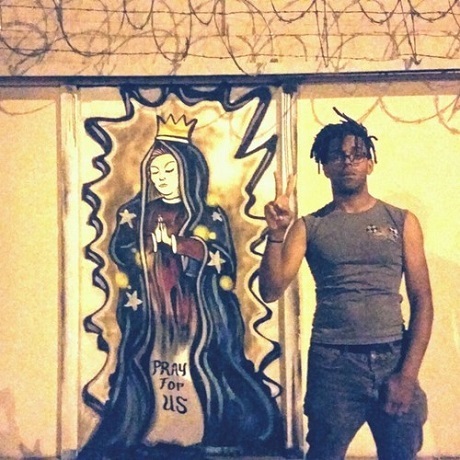 Experimental rapper Busdriver is the latest artist to weigh in on the current confrontations in Ferguson, MO, stemming from the shooting death of Michael Brown at the hands of police officer Darren Wilson. Busdriver's contribution to the dialogue is a gritty, authority-castigating cut called, simply, "Cop." Over a damaged, swerving beat from Bun and Fumitake Tamura, the rapper takes a confrontational and snooty tone. Topics covered include tossing on a uniform so he can hassle civilians, criminalize "your stroll," "torment freely" and undertake other abuses of power. "Policing in the U.S. needs to be re-examined completely. killing innocent people and children routinely can't stand as the lasting trend," Busdriver wrote of the song in a statement. It's unclear at present if the track will join "Ego Death" on Busdriver's upcoming Perfect Hair LP. You can check out "Cop" down below, while the full-length arrives September 9 through Big Dada.